When you make a hit song and the money starts rolling in, the integrity of you and your team will be put on the line. When you gain traction and momentum, your phone will start ringing nonstop. All of a sudden, everyone will want to jump on the bandwagon and be part of your success. People who you probably never thought you’d be in contact with, will start reaching out to you, hoping to get a piece of the small fortune that you are about to accumulate. People will try to pull you in every direction possible, so it’s best that you and your team stay grounded. Don’t make yourself so easily accessible either. 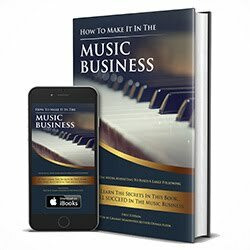 This is the audio version of Chapter 14 from my book "How To Make It In The Music Business: Using Social Media Marketing To Build A Large Following". In this video I talk about drug use in the entertainment and creative community. Many authors, musicians, producers, directors and professionals in various creative industries, use drugs to help them create and come up with ideas. Some drugs can help expose the mind to new thoughts and ideas that one may not have come up with, while sober. Drug use in moderation is acceptable in some cases, but when you abuse drugs, the results can be fatal. This week, upcoming emo rapper Lil Peep died of an apparent Xanax overdose. I talk about some of the most successful artists and their drug usage such as Stephen King, Edgar Allan Poe, Ernest Hemmingway, Charles Dickens, Future, Kurt Cobain, Whitney Houston, Pimp C, Lil Wayne, Soulja Boy, Wiz Khalifa, Stitches, Snoop Dogg, Philip Seymour Hoffman, ASAP Yams, 2 Chainz and more. If you are suffering with drug addiction and need someone to talk to, call the 24 Hour Helpline at 1-(800)-420-9064. Sometimes, people get lucky. When you are lucky, it's a real blessing. Luck may play a factor, in your success in life. Unexpected blessings and good luck is what we all hope for. In this video, I talk about why I never depend on luck as my primary plan of success. Luck often comes to those who put themselves in lucky situations. Sitting at home and waiting for luck to come to you is not a wise choice, if you plan to prosper. This is a short documentary about my family's contribution to the music business and how I was able to get my start in the music and entertainment industry. My uncles, Tunde-Ra & Taharqa Aleem, also known as The Aleem Twins, The Ghetto Fighters & Prana People, are music industry veterans who started producing music as early as the 1960s. Before Andre Harrell started his label, Uptown MCA Records, and before Sean "Diddy" Combs started his label, Bad Boy Records, and launched the career or The Notorious B.I.G., Lil Kim, 112, Faith Evans and more, my uncles were on the scene in Harlem with their indie label, Nia Records. In this documentary, I give a history of my uncles record label, and I explain how their contributions led to more great music and iconic artists.